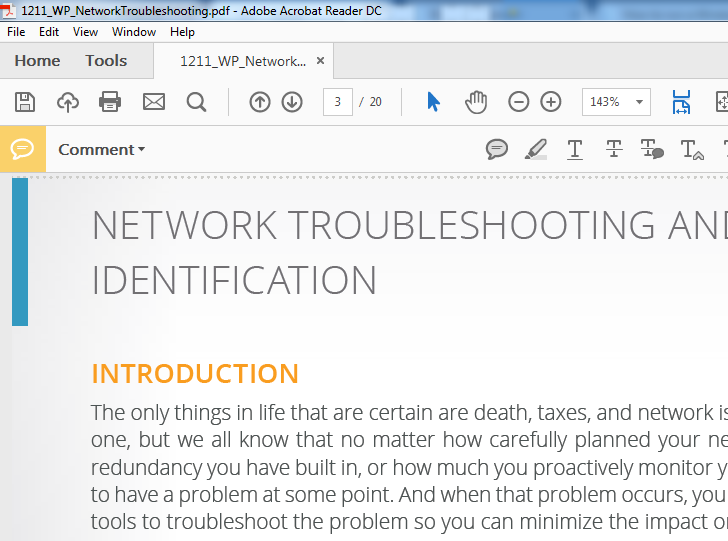 In this example, there is a PDF with a comment. However, when printing the file, the comments are not printed. 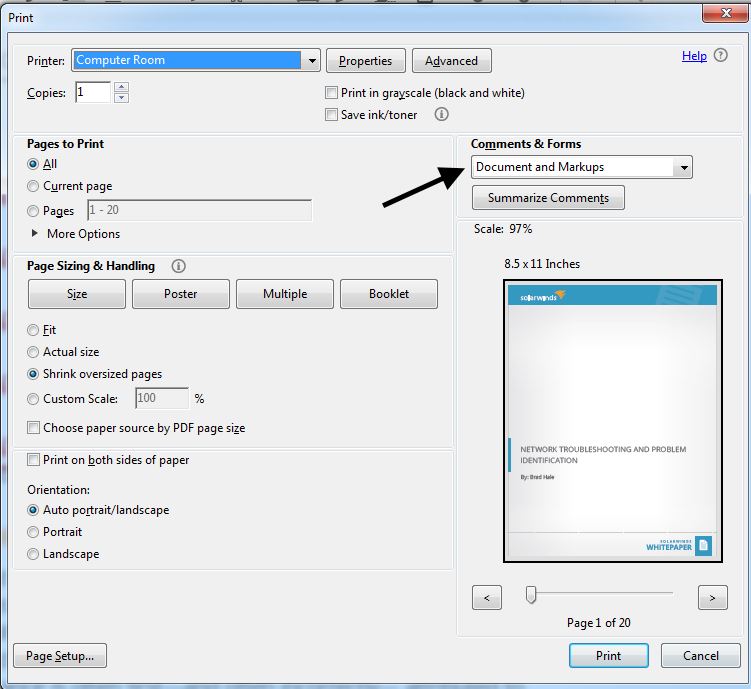 Comments will not print when only Document is selected in the Print dialog box. 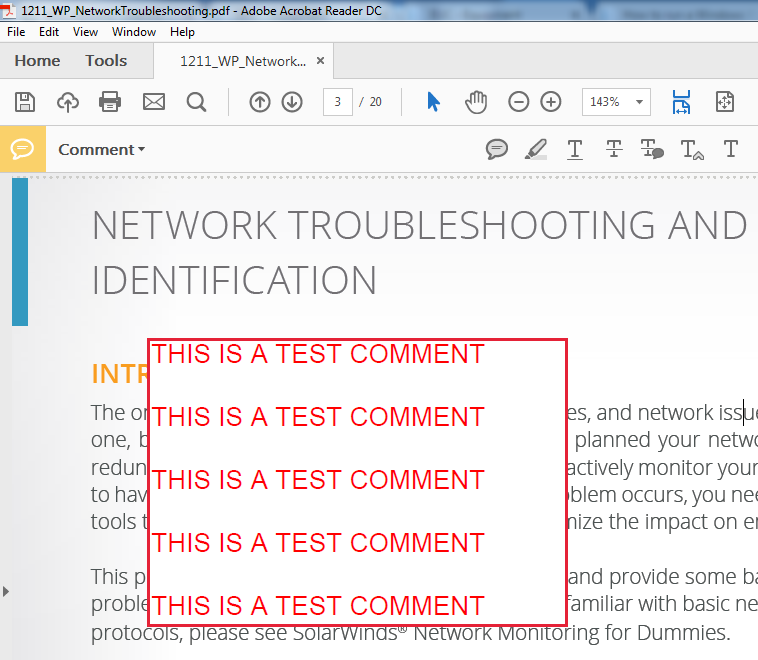 Ensure Document and Markups is selected to print comments.